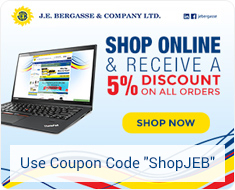 SurePay | J. E. Bergasse & Company Ltd.
NEW SUREPAY ONLINE BILL PAYMENTS COMING SOON! SurePay currently has a network of over forty payment centres at convenient retail outlets across Barbados, Trinidad and the British Virgin Islands. 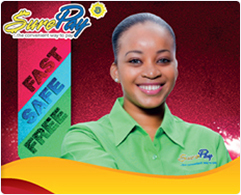 SurePay (St. Lucia) launched on September 1, 2012, offers consumers the ability to pay their utility and other recurring bills, at any SurePay collection point island wide. The SurePay system is constantly in communication with each of the biller’s accounting systems, updating payments to each account on an on-going basis which means all account information is kept current and secure. It also means bills can be paid on the day they are due and not risk penalty. Payments can also be made after the bills are due! No longer does paying bills mean writing cheque after cheque or wasting time in line after line. It now means just one simple payment at any SurePay payment centre and that’s it, bills are done. It’s an easy one stop, one total payment and the consumer receives an official proof of payment receipt for their records. SurePay… the convenient way to pay! An electronic bill payment service which securely handles the payment to Billers: LUCELEC, FLOW, WASCO, etc, on behalf of the customer at no cost to them. Q. Where can SurePay Locations/ Collection Points be found? ALL Massy Stores Supermarkets islandwide! 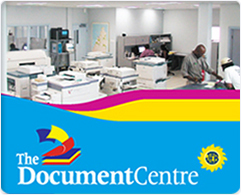 Fond St. Jacques Credit Coop Society Ltd.
Laborie Co-Operative Credit Union Ltd.
Mabouya Valley Co-operative Credit Union Ltd.
Q. What Bills can be paid at SurePay? Walk into any SurePay location with your bills (does not have to be a current bill), hand them to the SurePay cashier and tell them how much you want to pay toward each bill. A total amount is given and you can make one payment! Simple. If you wish to register for a SurePay account, provide one form of I.D and confirm which bills you want registered to your account. You will never have to walk with your bills again when using SurePay. SurePay securely handles the distribution of the funds to each of the billers on your behalf and at no cost to you! It’s easy…one total, one payment and you receive an official proof of payment receipt for your records. The SurePay system is constantly in communication with each of the biller’s accounting system, updating payments to each account on an on-going basis means all account information is kept current and secure. It also means you can pay bills on the day they are due and not risk penalty. You can even make payments after the bills are due! No longer does paying bills mean writing cheque after cheque or wasting time in line after line. It now means just one simple payment at any SurePay payment centre and that’s it, bills are done…simple as that! So if you’re looking for an easy way to pay bills give SurePay a try… the convenient way to pay! Q. 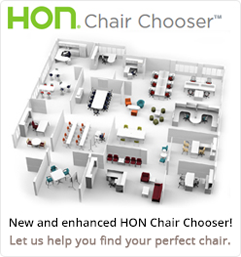 Attributes of the Service – FAST, SAFE & FREE? All SurePay’s customer information is secure, the process is fast and the service is FREE! 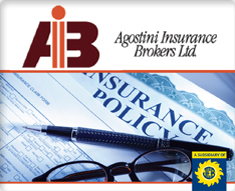 First/initial premium payments for Massy United Insurance will need to be made at their main office. All subsequent payments are applicable for payment at any SurePay location. Note though that these do not include payments to Brokers. 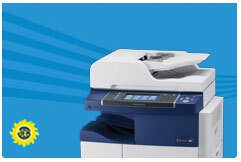 Fill out the correct form to receive great prices on copy/print/design solutions or office products or equipment.